A-ha launched their final world tour in South America. The "Ending on a High Note" tour was a live celebration of A-ha's 25 year career, which included stops in 63 cities in 21 countries, and culminated in 4 concerts in their home town of Oslo last December. The band's last ever live concert took place on December 4, 2010, and that one was recorded for release, featured here. 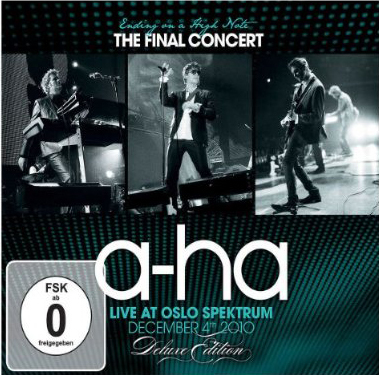 Click the button below to add the A-HA Ending On A Hight Note: Final Concert EU CD+DVD to your wish list.